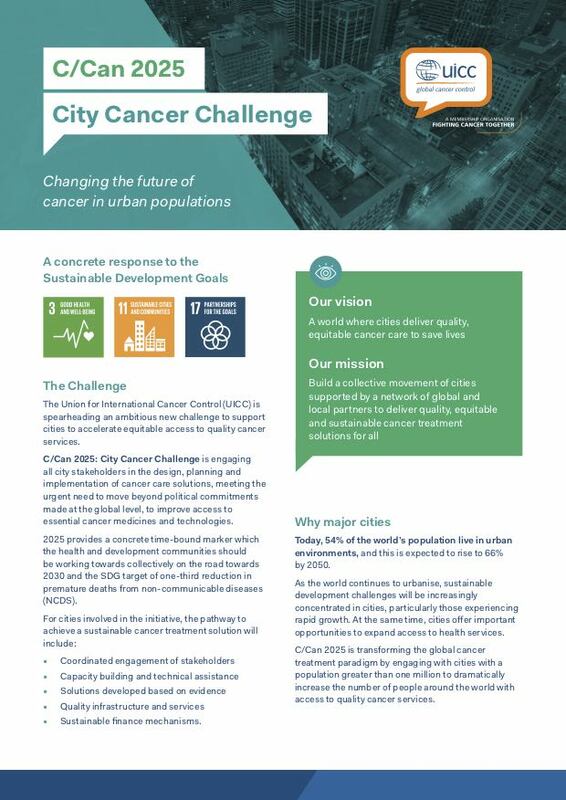 Launched in January 2017, ‘C/Can 2025: City Cancer Challenge’ is a multi-sectoral initiative supporting cities to take the lead in the design, planning and implementation of cancer treatment solutions. 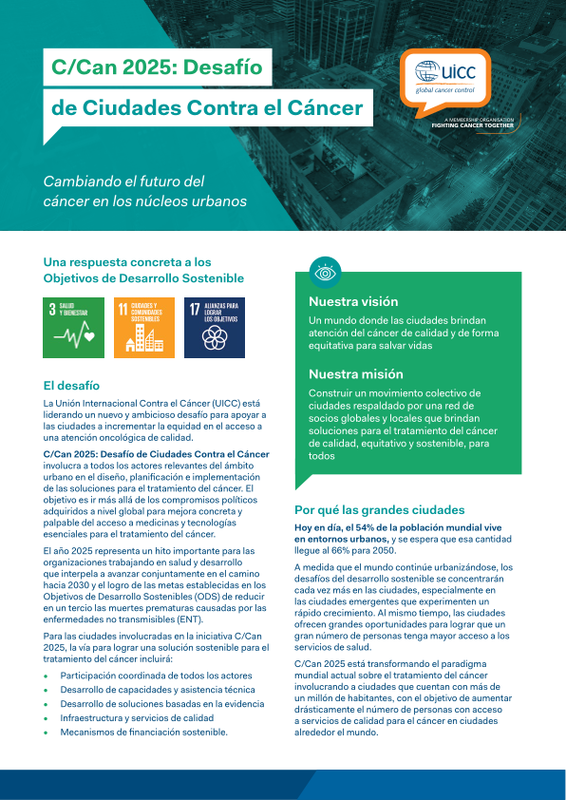 C/Can 2025 aims to increase the number of people with access to quality cancer treatment in cities around the world through a network of motivated partners including city leaders, governments, NGOs, UN agencies, and domestic and international businesses. 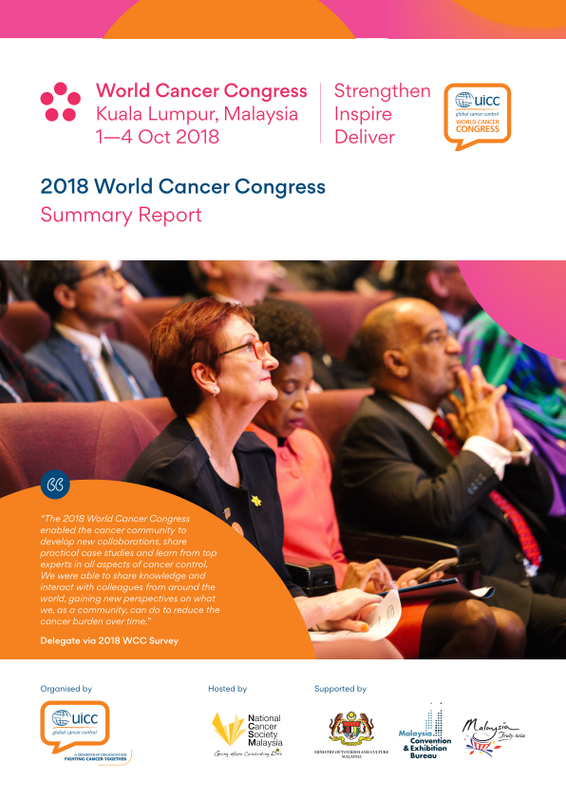 C/Can 2025 has been conceived to address the urgent need to turn political commitments made at the global level into fully functional, comprehensive cancer solutions, which can reach the majority of the world’s population. The global target to reduce premature deaths from Non-Communicable Diseases (NCD) by 25% by 2025 has been a call to mobilise community and nations around the world. However focusing solely on NCD risk factors alone will not reduce cancer mortality rates by 2025. Improvements in early detection and treatment will be critical. C/Can 2025 is already working with a small group of 'Key Learning Cities', including Cali, Asunción, Yangon, and Kumasi. Beginning in 2018, the ambition is to scale-up support to a wide network of 'Challenge Cities' that have a population greater than 1 million, in every region. Work is already underway with a small group of “Key Learning Cities” to assess key gaps in cancer care, identify priorities, and develop city implementation plans to address these challenges. Beginning in 2018, support will be scaled up to a wider network of “Challenge Cities” with populations greater that 1 million, who are committed to improving access to quality cancer care for their citizens. 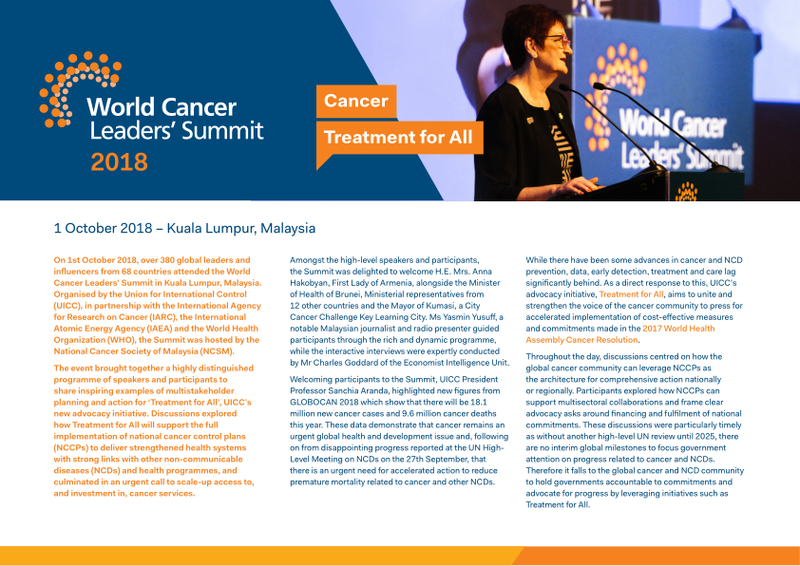 Officially announced at the 2018 World Cancer Leaders' Summit, the 2018 call for applications will focus on engagement within Asia, inviting cities across the region with a population of over one million to join the initiative. 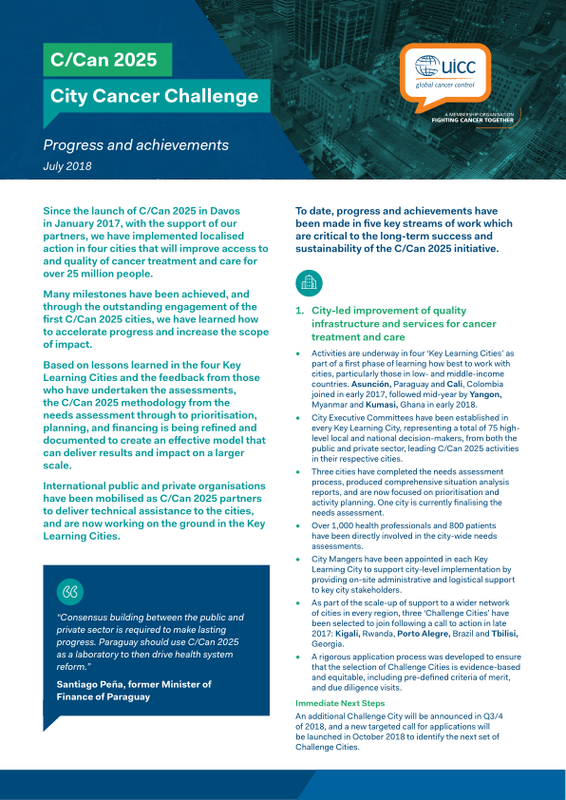 Since the launch of the City Cancer Challenge in 2017, the first four Key Learning Cities have been mobilising the initiative’s network of global and local partners to develop and implement localised action plans, tailored to the needs of each city. 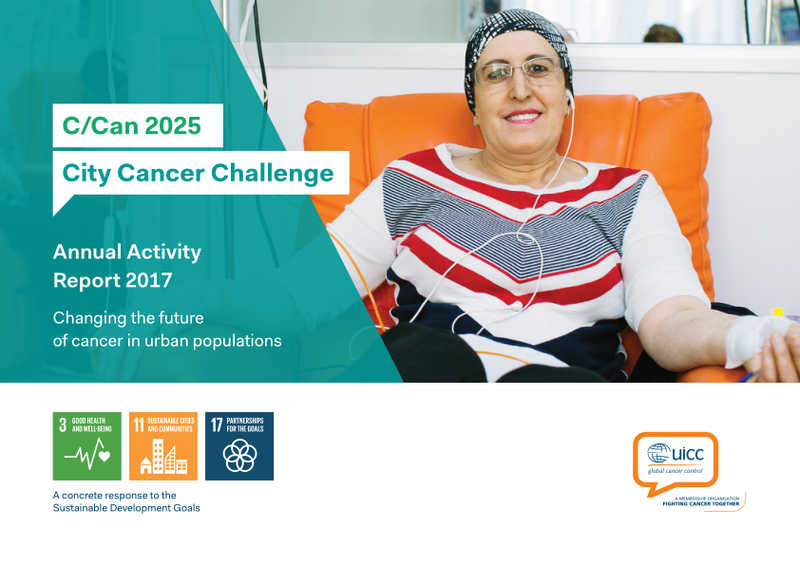 5 July 2018 – New York, USA: Today, UICC announced that the city of Tbilisi, Georgia has been selected to join the C/Can 2025: City Cancer Challenge (C/Can 2025) initiative as a Challenge City. Tbilisi will become part of a collective movement of cities supported by a network of global and local partners to deliver quality, equitable and sustainable cancer treatment solutions. 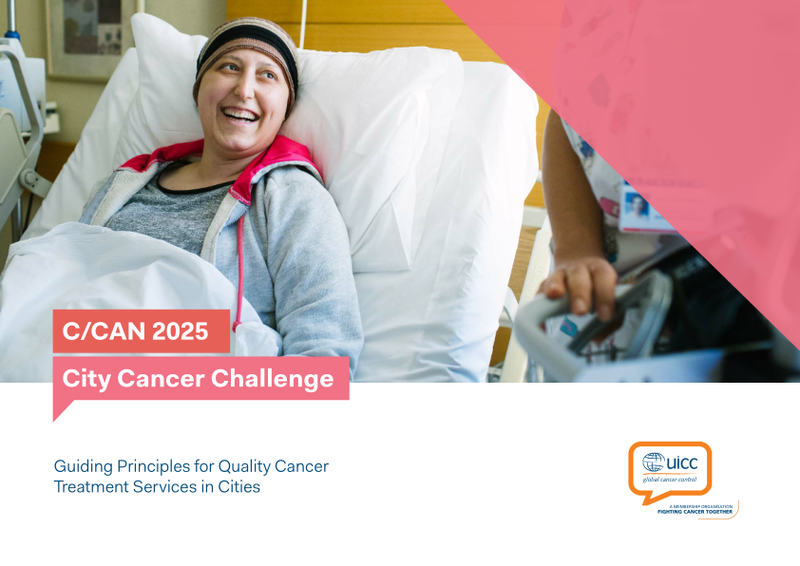 21 May 2018 – Geneva, Switzerland: Today, UICC announced that the cities of Porto Alegre, Brazil and Kigali, Rwanda have been selected to join the C/Can 2025: City Cancer Challenge (C/Can 2025) initiative as Challenge Cities.